Now, Enjoy Huge Savings and Benefits with an Install or Replacement Air Conditioning System… During the Spring Hill Big A/C Event! Right Here in Spring Hill! Don’t wait until the summer rush to update your aging Air Conditioner or heat pump. Act now and enjoy the year’s biggest AC installation and repair savings event! When you act today and contact us on this page, you’ll be able to claim exclusive savings on our biggest sale event of the year! Join your neighbors who have already contacted Spring Hill’s Air Conditioning Installation specialists—and call right now. We’ve installed many new Air Conditioning System for your neighbors in Spring Hill and the bay area. 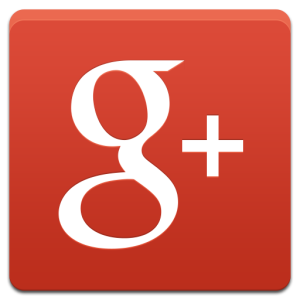 Now we’d like you to see why Spring Hill Air Conditioner is recognized as one of the area's top onstallation and AC repair and service specialists. 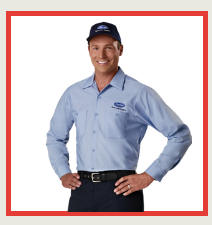 Our Spring Hill Air Conditioner team of well-trained technicians, averaging 17 years of experience each, makes our friendly, reliable, service possible. Spring Hill’s Most Spectacular Air Conditioning Event of the Year! Just $63/mo Plus 0% INTEREST for 3 Years - On Every A/C System Installed Before Summer 2017! Act now and claim your best deal of the year on all air conditioning installations or system replacements in all of Spring Hill. The Spring Hill Air Conditioner team will get you cool and comfortable from just $63 per month—or select to pay NOTHING in interest for a full 3 years/36 months. Upgrading to a new, more efficient spring hill air conditioner has never been more affordable than right now. This is Your Invitation to Try Out Spring Hill's top HVAC dealer! If you’re here reading this, we can safely assume that you’ve been doing a little online research about a replacement heat pump. Perhaps you’ve spoken with contractors or a technician who recommended an air conditioning installation for your Spring Hill Fl home or commercial office. Perhaps you’ve heard about them through a friend. What is a heat pump system? Heat pumps are an especially efficient way to heat and cool your home. While the device looks just like your central air conditioner, it actually replaces your gas furnace or electric baseboard heat. Their efficiency has made them desirable, but historically, heat pumps haven’t worked well when the temperature dropped below freezing. Because that require supplemental electric heat, some people questioned the value of heat pumps. Of course, even then, they reduced your energy costs and eased the burden on your supplemental heaters drastically. Today, they’re far more efficient and that concern is no longer an issue for most residential and commercial consumers. Of course, in Spring Hill, it wasn’t a concern in the first place, as Florida enjoys comparatively mild winters. How does a heat pump differ from a central air conditioner? An air conditioner does one thing – it cools. A heat pump is capable of doing two things – heating and cooling. It works differently than traditional furnaces, which generate heat by burning fuel, and electric heaters, which generate heat through electrically heated coils. A heat pump literally pumps heat. In the summers, it pumps the hot air from inside your home into the outside air. In the winter, it reverses the process, pumping warmth into your home. That movement requires less power than generating the energy, which is part of what gives heat pumps their famed efficiency. You may notice that the parts of air-sourced heat pumps (the most common type) look similar to central air conditioners – and indoor air handling unit, and an outdoor condenser, which connect to your home’s ductwork. What types of heat pumps are there? The most common, which we’ve talked a little bit about, is an air-sourced heat pump. It works by transferring the heat through the movement of air. It is a powerful device, and when the average HVAC contractor talks about a heat pump, this is what he’s discussing. The second kind of heat pump is a mini-split, also known as ductless air conditioning. These are for homes that do not have ductwork; they are meant for homeowners that either do not want ductwork installed or cannot accommodate it. Mini-splits work on the same principles as an air-sourced heat pump, although they don’t always meet the same specifications. If you’re reviewing estimates and prices on a heat pump as an upgrade, replacement, or new installation, reach out to the Spring Hill air conditioning installation experts who are always standing by to answer all of your questions, Bay Area Air Conditioning. If you’ve got Carrier Air Conditioner, you already know. If you don’t, you’ve probably heard. We’ve heard salespeople, customers, and even other contractors refer to Carrier systems as “the Rolls-Royce of HVAC systems,” and the description is apt. A Carrier system is a powerful, well-designed, craftsman quality air conditioner. Because of that, it is highly recommended by the manufacturer that you only have your Carrier AC installed and serviced by a factory-authorized specialist. Factory Authorized Dealer is not a marketing term. It requires the contractor dealer to meet some very difficult criteria. Among these are exceptionally high customer satisfaction histories, ongoing intense training on all AC units and services and a commitment to work harder, do better, and insist on excellence. We’ve worked very hard for our own distinction. Still, you can bet that if we let our standards slip, the manufacturer's would call us on it, and our status would be at risk. That’s part of the reason we appreciate the company so much, and recommend them so highly to our customers. The rest? Well, that requires a little backstory. Have you ever heard the name Willis Carrier? Some of our customers are surprised to discover that Carrier is someone’s name, and not a reference to a pigeon, or to something that … carries … stuff? The company’s founder was Willis Carrier, and he’s responsible for a pretty remarkable feat. Willis Carrier, you see, is the father of modern air conditioning. Seriously, in 1902, he drew up sketches a machine for a company called the Buffalo Forge Company, which he called the Apparatus for Treating Air. It did four things – it lowered the temperature, it controlled humidity in the area, it circulated and ventilated the air, and it cleaned the air as it did those things. Those four things became the criteria by which air conditioners would be measured. By 1906, he’d refined it and patented it. By 1915, he’d left Buffalo Forge and started the Carrier Company. By 1950, the time of his death, Willis Carrier had filed another 80 patents on the subject and successfully built the world’s first, and arguably most successful, air conditioning company. Carrier, the company, would survive the death of Carrier, the man, and continue to innovate and invent, leading eventually to the commercialization and practical application of residential air conditioning. Carrier today is as competitive and hardworking as they ever were. It’s easier than ever to get a Carrier Air Conditioner or heat pump into your home. 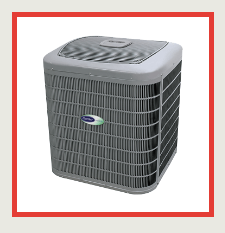 Their current lineup includes a two-stage air conditioner with a SEER rating of up to 21 – that is literally the most efficient such air conditioner that money can buy. It is not, however, the most expensive cooling system that money can buy. That’s doubly true when you take into account that we can help you look for incentives, rebates, and financing options to make your Carrier upgrade even more effective. Reach out to us today, and we’ll be happy to talk you through your options. We aren’t satisfied with just coming out to your home and fixing things. We believe in a personal touch. We live here, same as you, and we care deeply about our customer’s happiness. After 40 years, we’re still family-owned, and our employees feel like a big family. We try to extend that camaraderie to our customers, as well. That’s why we maintain our AC installation blog and post informative articles for you guys to read. You’ll run into problems from time to time, and it’s common sense that you would want to try and figure things out on your own before spending money on AC installation companies or contractors. It’s scary, being a homeowner. We know – we’re homeowners, too! When something big starts to go wrong, it’s hard to look past the dollar signs and avoid getting stressed out. That’s what we’re here for, and we want you to use this blog as a resource. We keep track of the questions you ask when you call us, and whenever we can, we write an article addressing questions we receive regularly. HOW MUCH WILL MY NEW SPRING HILL AIR CONDITIONER OR HEAT PUMP COST?